15 Weeks: Conversion Programme 2018 Schedule Class 14 – Blended Learning includes two exam days. This is a golden opportunity for the right people. Completing the 2 modules is an intense and challenging experience. As class room and self study are involved, a high degree of motivation will be required. The chance is there to shine. All age profiles are welcome to take part. Participants will need to have ideally a minimum educational standard of a Level 7 Degree in a STEM qualification. As there are limited places on this course, places will be allocated on a first come basis subject to assessment and interview. University of Limerick & Global Business Institute for the Certificate in Quality Engineering (NFQ Level 8 – 30 credits) and preparation for ASQ CQE Exam. (Candidates can sit the ASQ exam at their own time after work experience in the relevant area of knowledge). The 2 modules and their practical application will significantly enhance employment prospects of all the participants. The programme will also include training on CV preparation and Interviewing Skills and an accredited Career Development module. 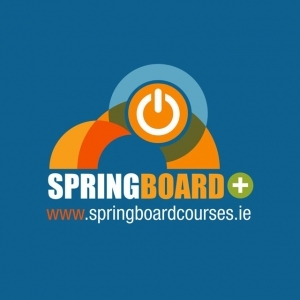 Applicants are required to hold at the time of enrolment the established leaving certificate (or an approved equivalent) with at least Grade C3 in two higher level subjects and a Grade D3 in four ordinary or higher level subjects (including Mathematics; Irish or another language and English). In addition the medical technology industry requirement is a minimum Level 7 Engineering, Science or Technical Degree. Or Level 6 Craft certificate in same. Mature students (at least 23 years of age on the 1st January 2018) may apply for entry to any of the programmes of study. Each mature student is considered on an individual basis. Academic qualifications, work and life experience, motivation and overall potential for the programme of study are evaluated, usually, by means of an interview. Note: All participants of the Certificate in Quality Engineering & Diploma in Professional Competence will be required to pay 10% of the overall cost of the programme.